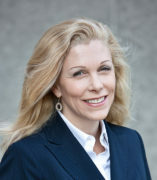 Renee Taylor is a licensed clinical psychologist, professor of occupational therapy, and director of the UIC Model of Human Occupation Clearinghouse. She also serves as a guest professor at Linkoping University in Sweden. She received her MA and PhD in clinical-community psychology from DePaul University in 1995 and 1997 and practiced psychotherapy until 2006, and completed a post-doctoral fellowship in child and adolescent clinical psychology at Advocate Medical Center in 1998. She has published over 90 peer-reviewed articles on chronic fatigue and fibromyalgia and five books, with two more under contract. Recently, she has developed and is testing a conceptual practice model that focuses on patient-practitioner relationships. Her corresponding line of research focuses on the use of technology to support patient-practitioner relationships in practice.